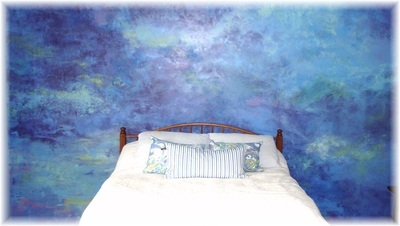 Full surround fantasy world, or just a touch of pretty? 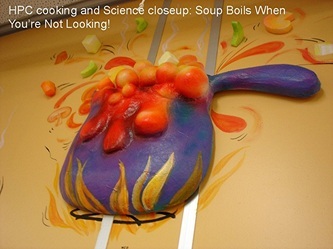 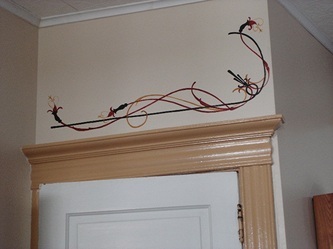 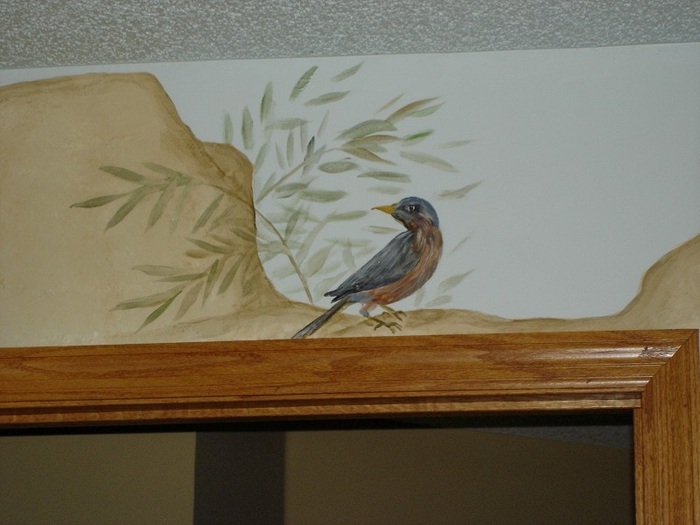 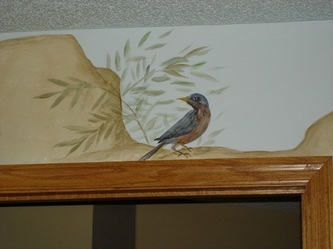 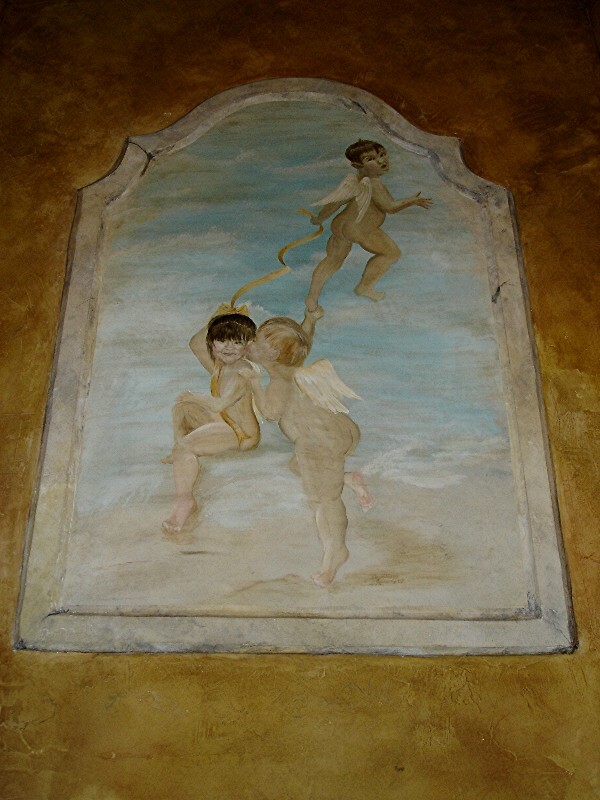 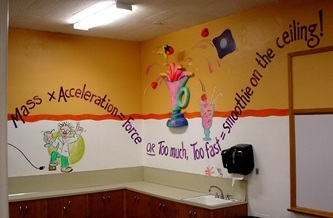 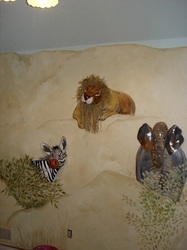 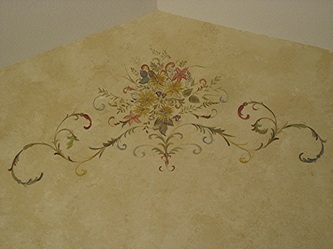 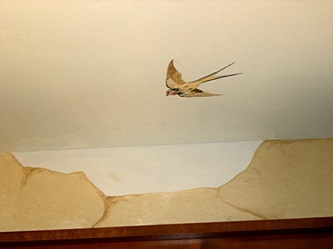 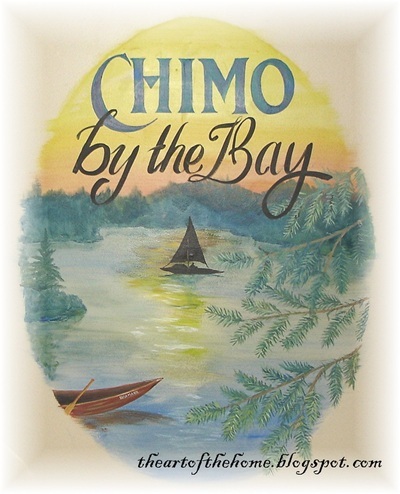 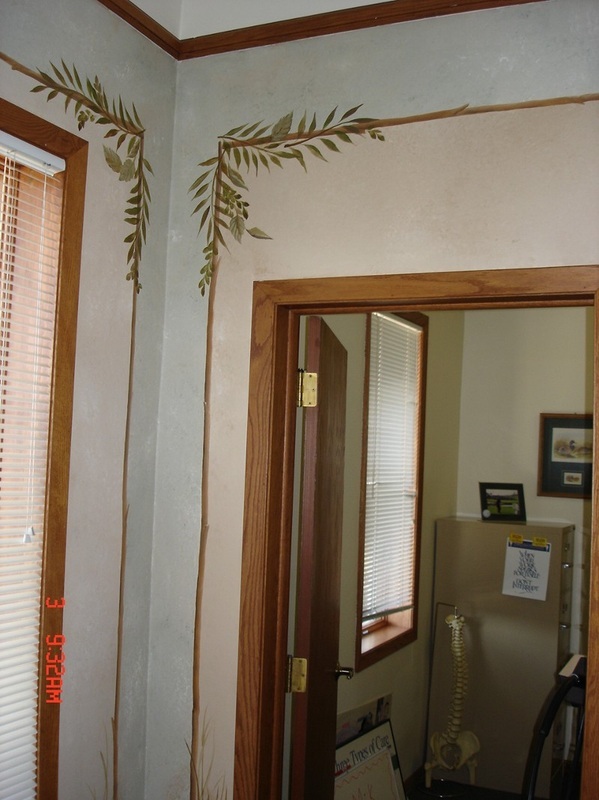 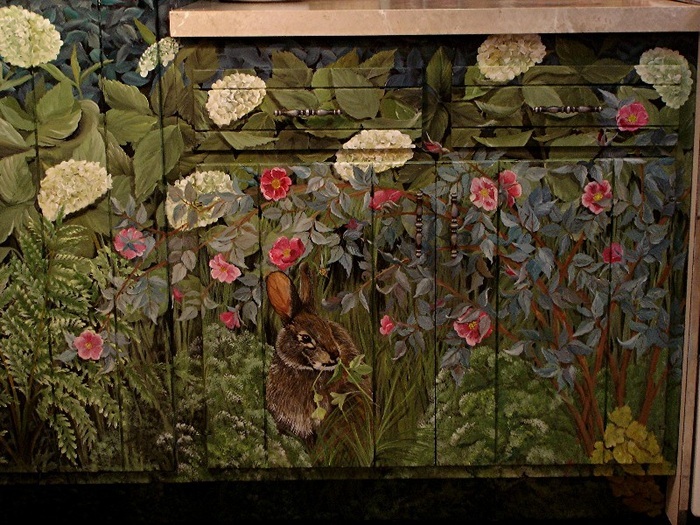 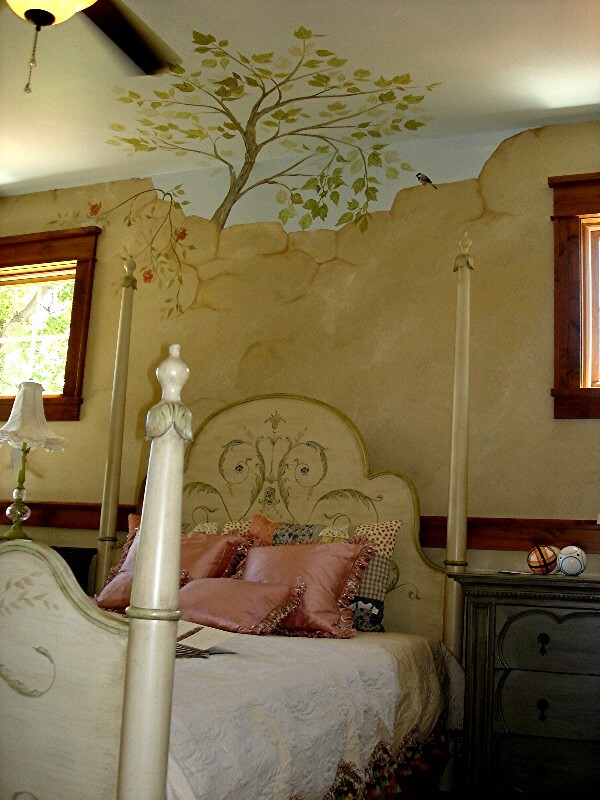 Murals and artful details run the gamut! 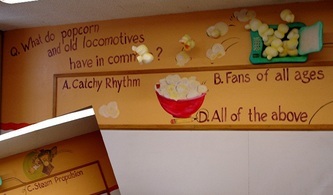 Below is just a sampling of the unlimited possibilities. 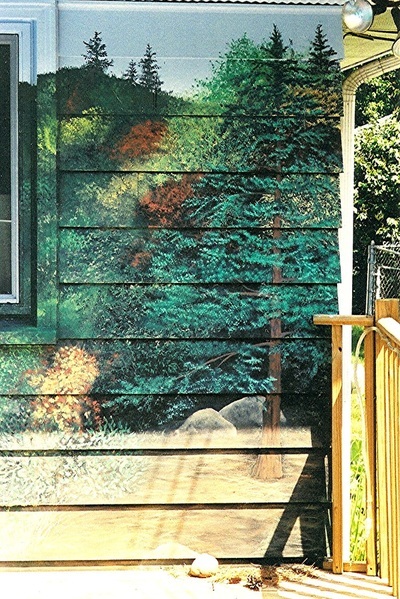 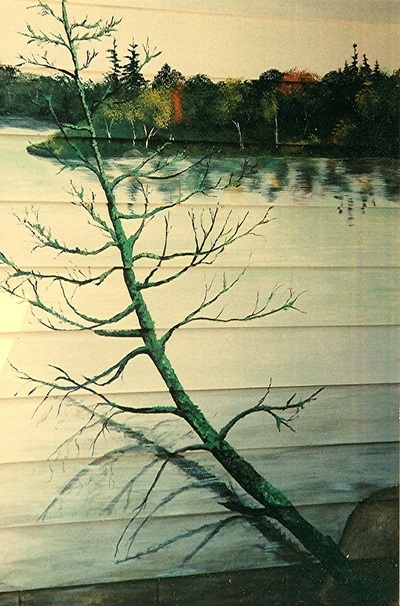 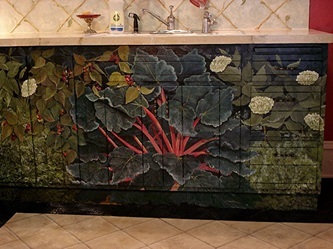 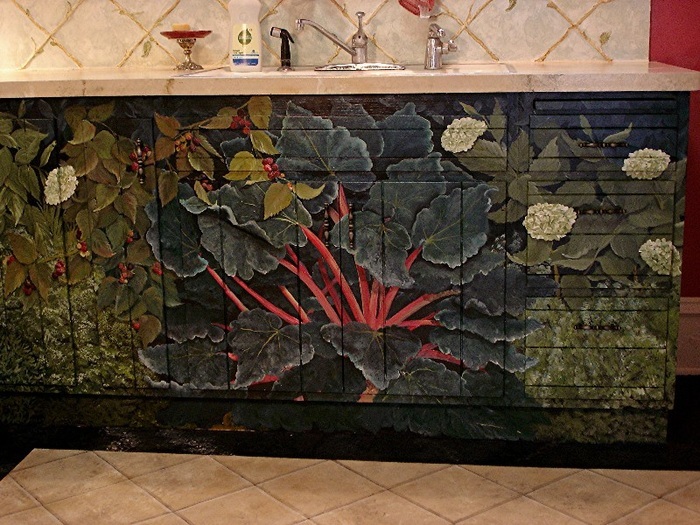 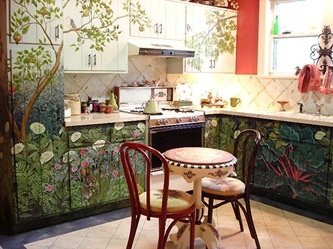 From a simple mini-mural to a full-surround environment, murals definitely set the stage for artful living, but they aren't of course for everyone. 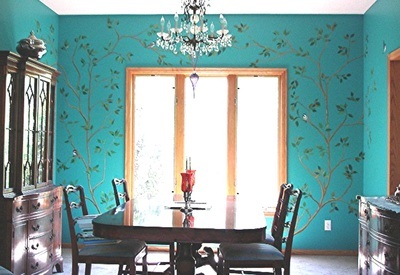 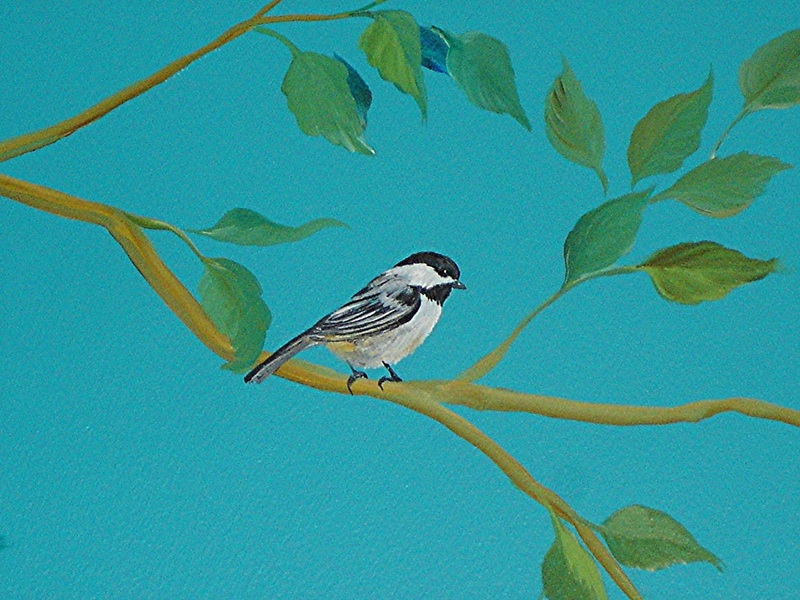 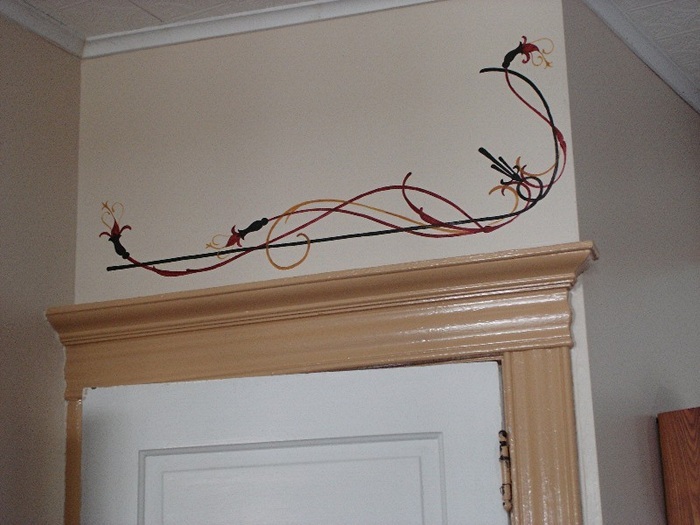 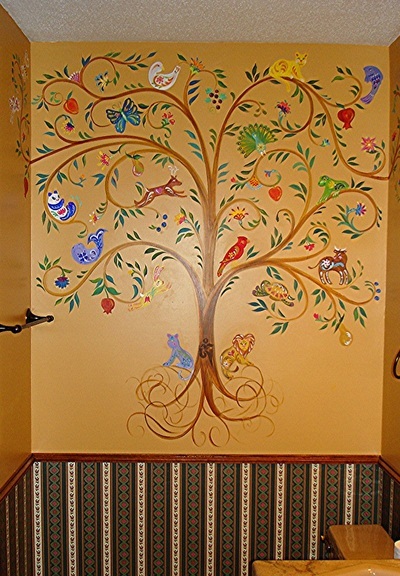 Depending on your home, and your personal preferences, you may want just a touch of scrollwork, or for a subtle touch of wit, maybe a trompe l'oeil (fool the eye realism) bird (squirrel, monkey, butterfly...?) 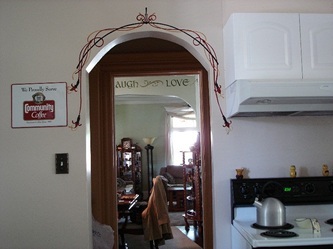 perched atop a door frame in an otherwise unembellished room, and you'll find ideas for these at the bottom of the page. 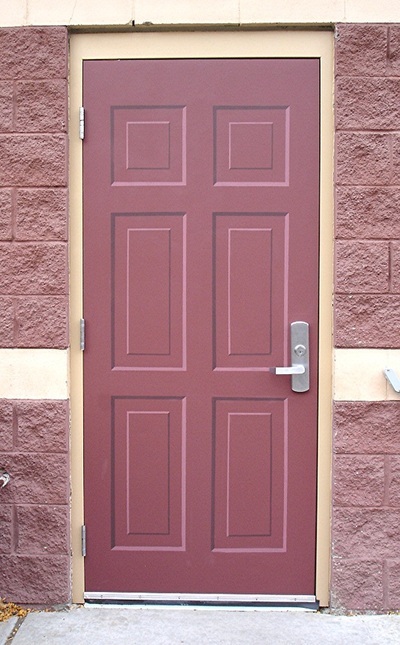 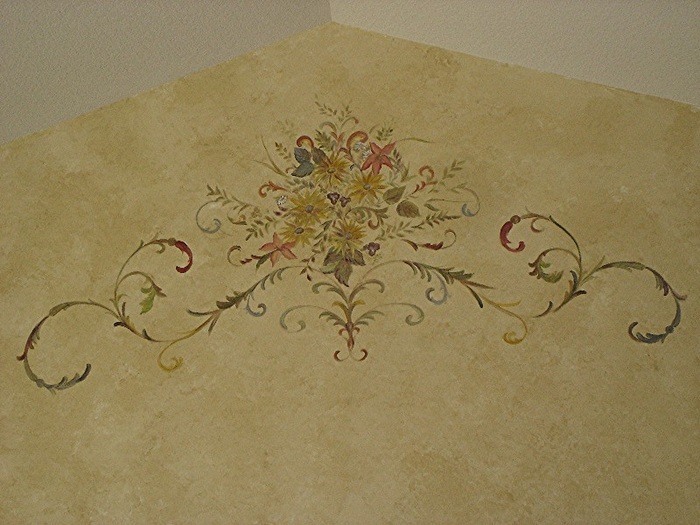 As you scroll through these samples, you may notice that there is not one prevalent style. 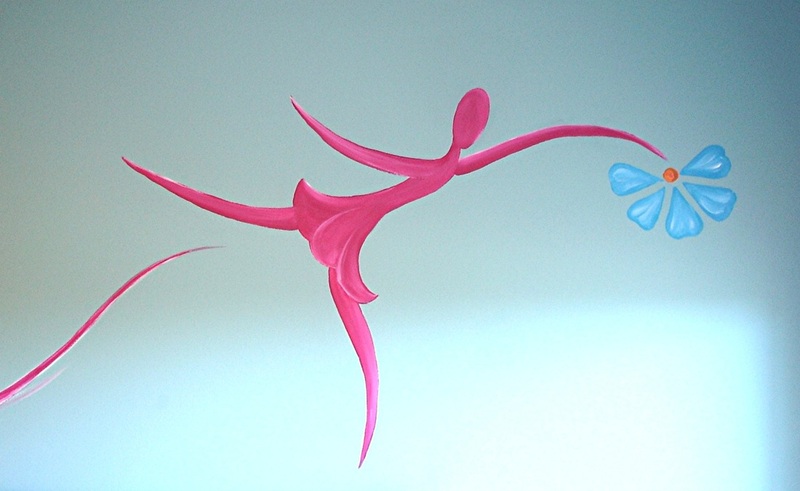 This is because I've worked as a commercial artist all my life. 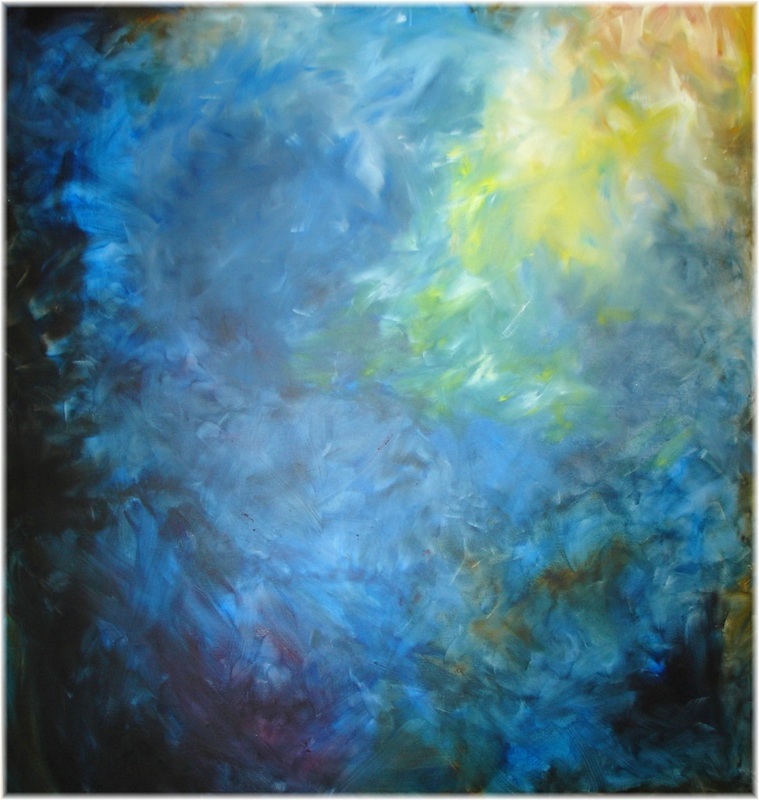 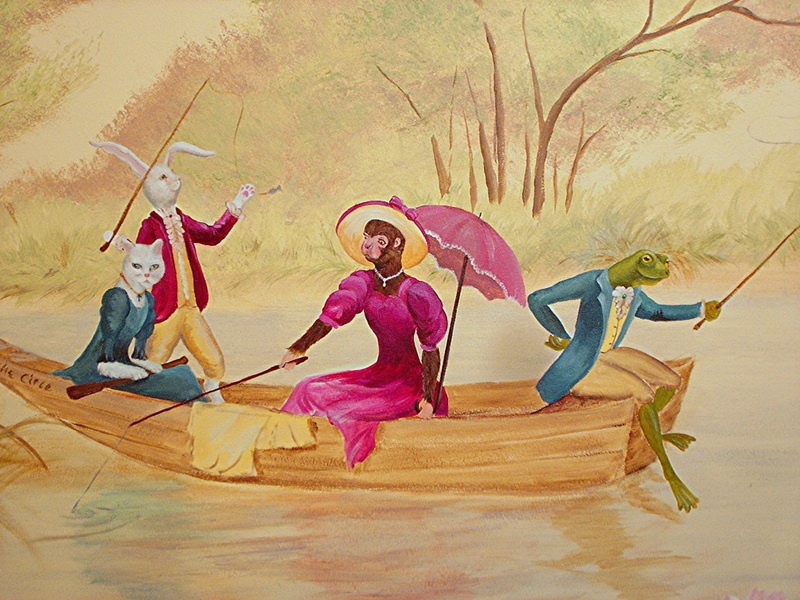 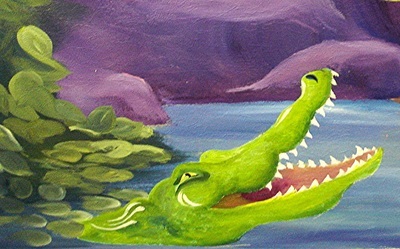 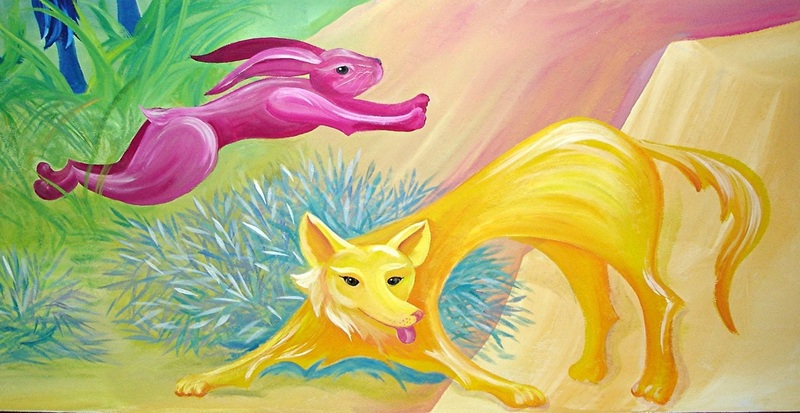 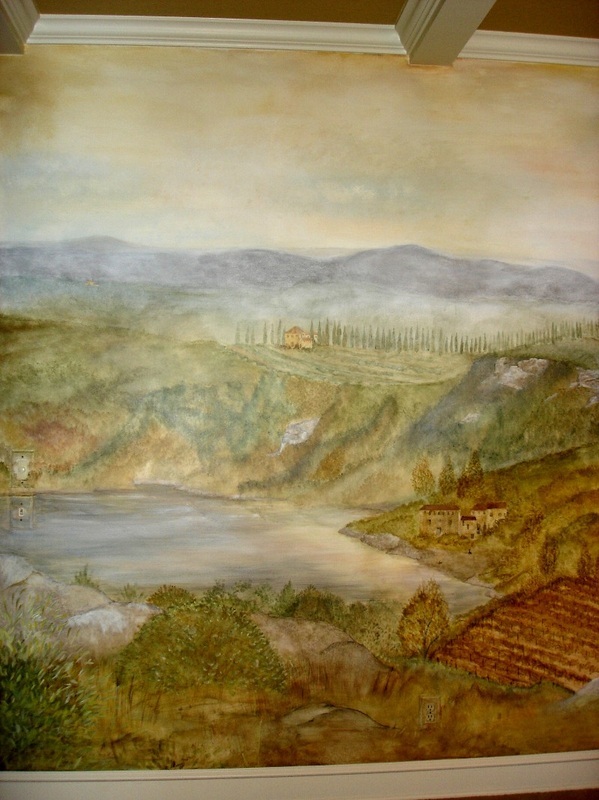 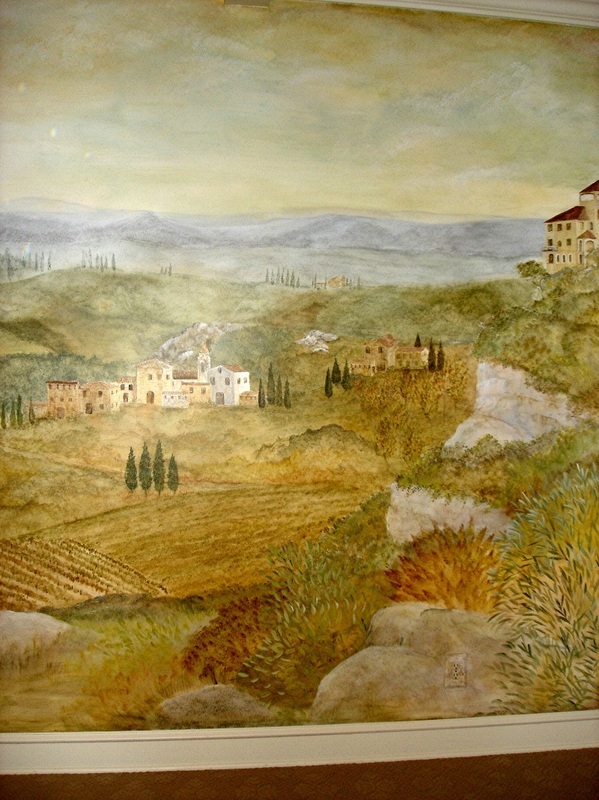 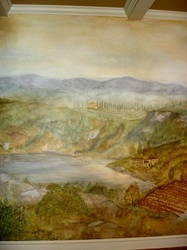 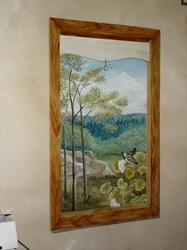 My job, my passion, is to translate your idea into visible art, so I work in a variety of styles. Click on any photo in the galleries below to see it full-s﻿iz﻿ed, and re﻿ad ﻿the captions. 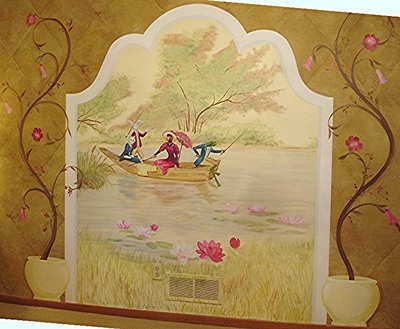 If you love classic Chinoisserie, it's av﻿ailable in wallpaper, but it may cost about the same to have it custom ﻿painte﻿d to f﻿it your space. 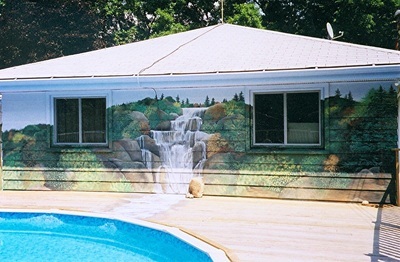 Of course I can paint it outside! 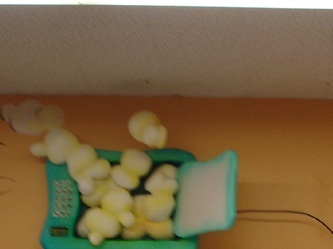 This one spans three walls, and has held up for more than ten years. 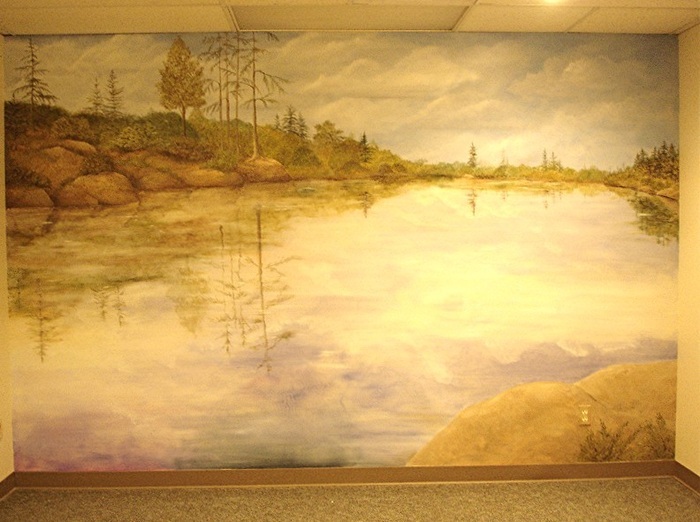 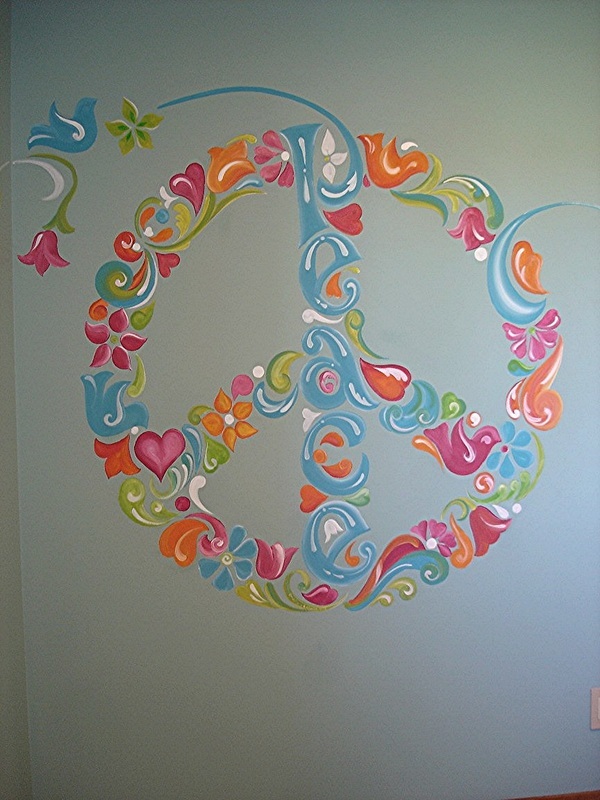 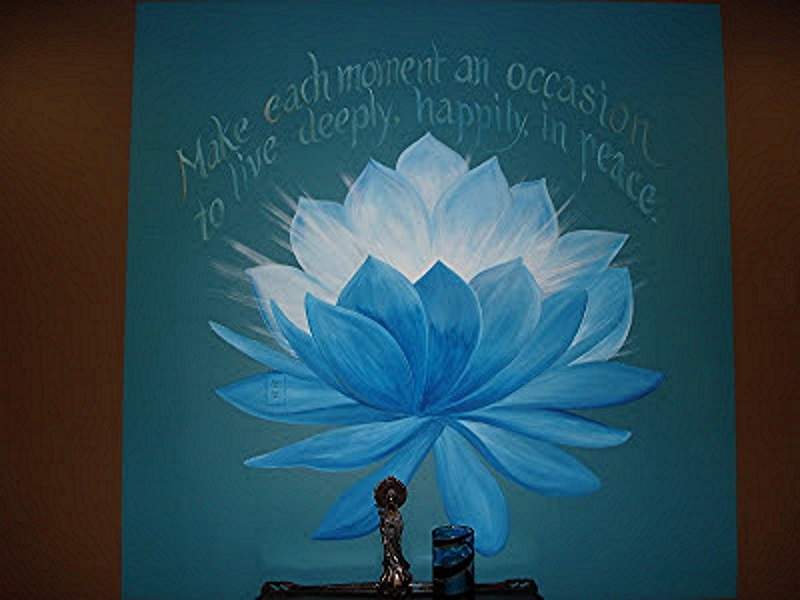 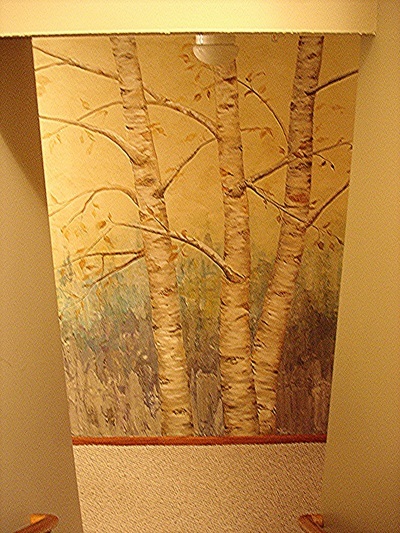 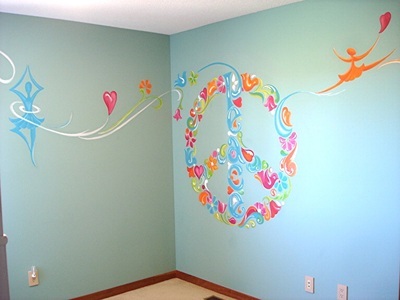 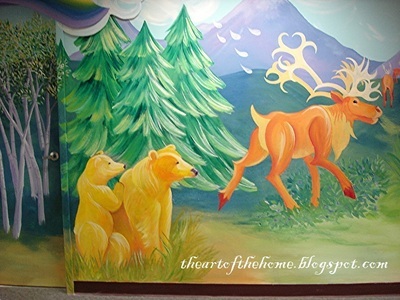 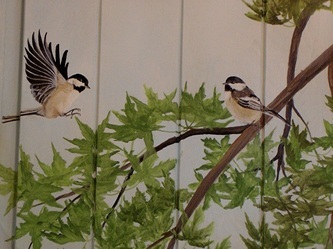 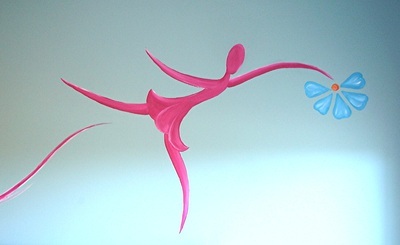 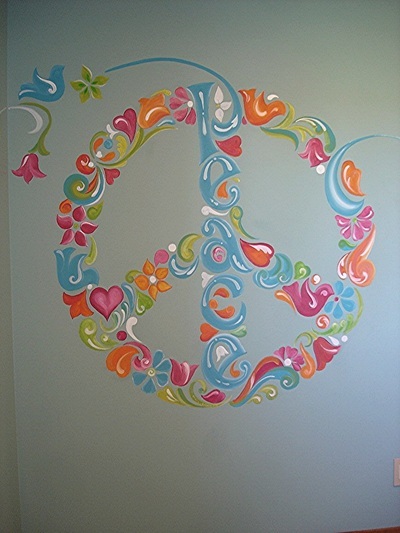 Murals are perfect for﻿ healin﻿g space﻿s.﻿.. Think you don't have wall space for a mural? 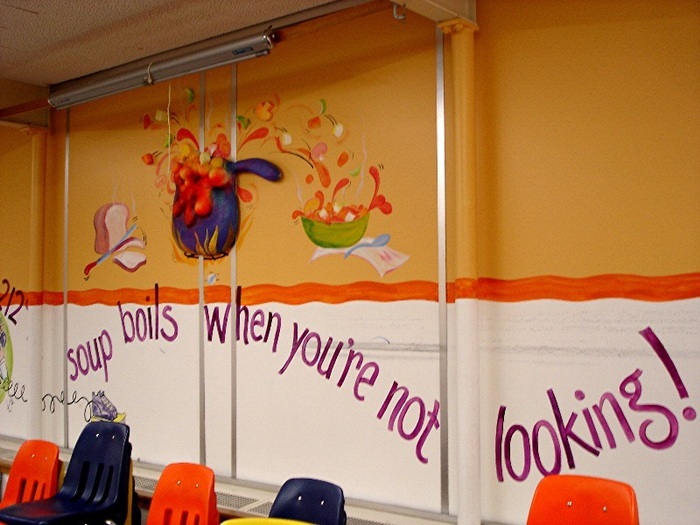 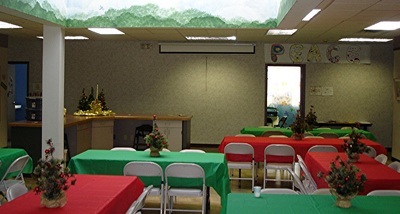 Even a little strip of wall space can be enough for an entire story to unfold...as long as nobody stands up! 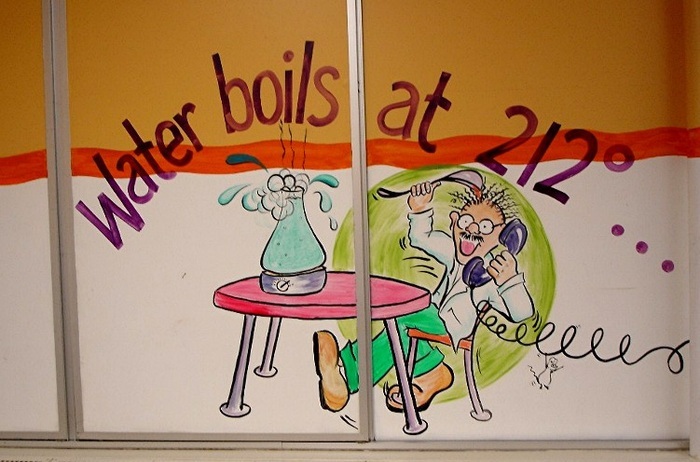 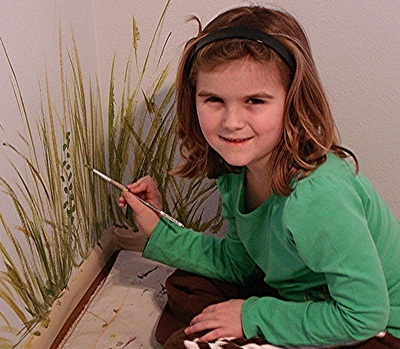 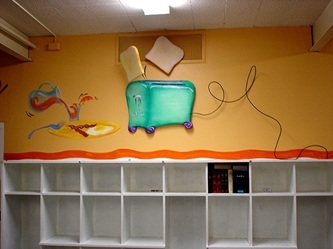 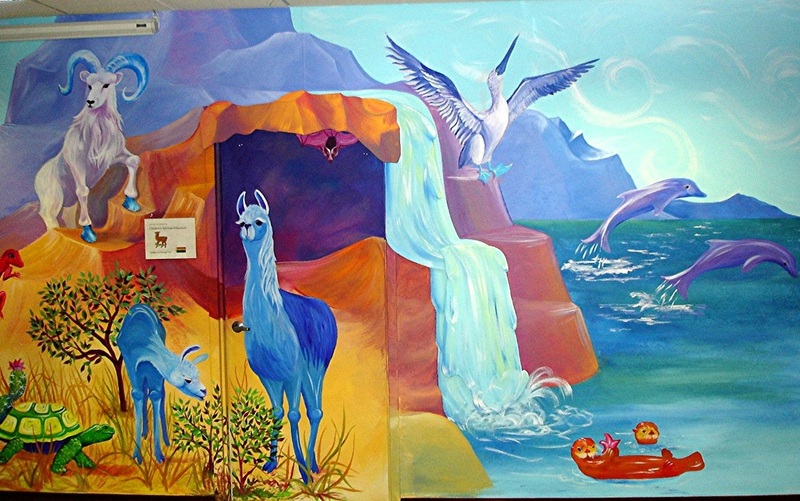 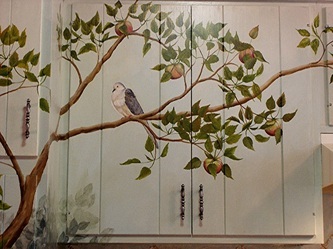 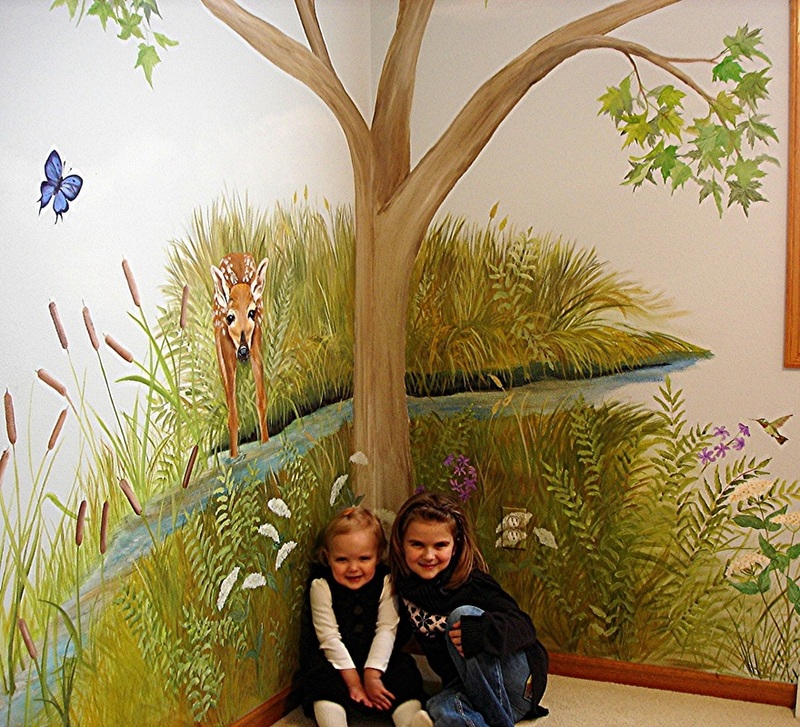 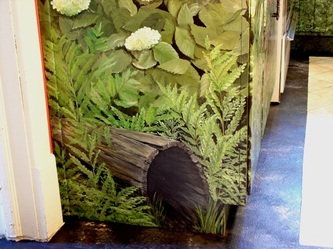 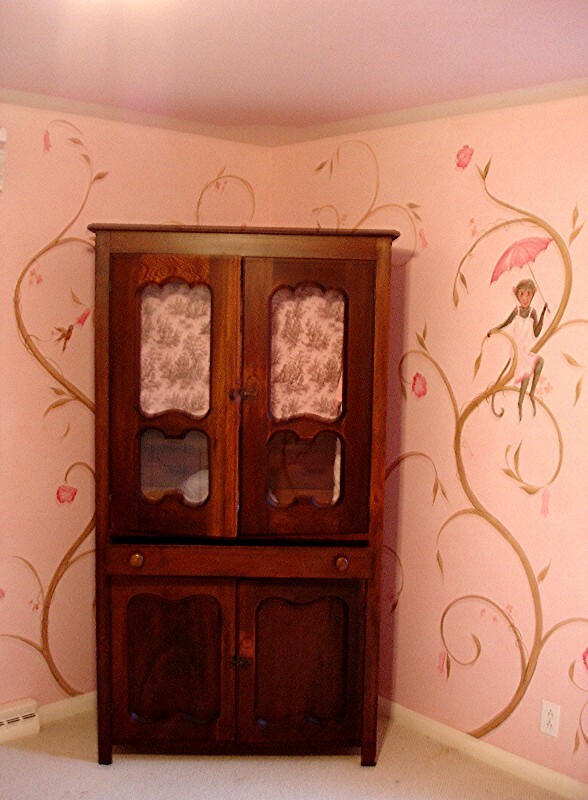 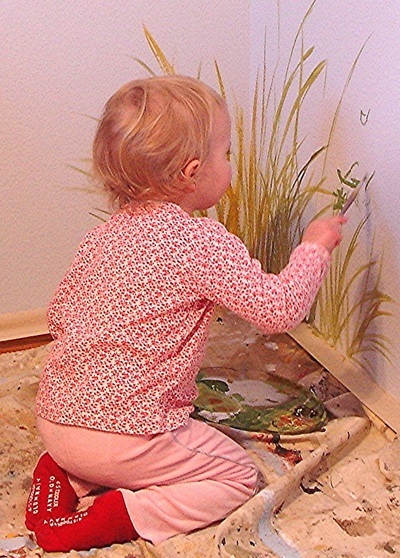 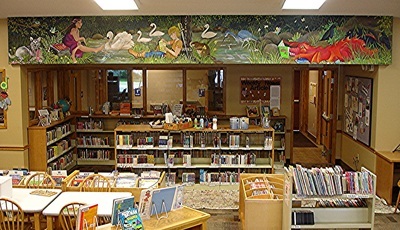 A storybook mural can span a wide range of ages and interests in public spaces, like the library above, or in your home, like the girls' room below. 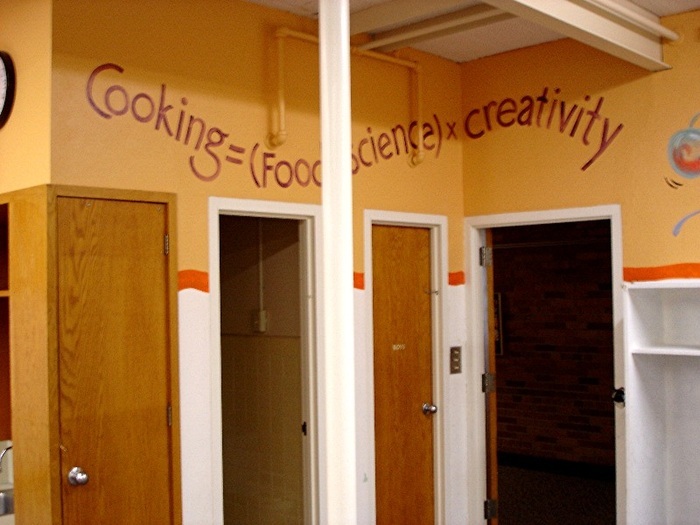 What if your child can't choose between two themes? Easy. 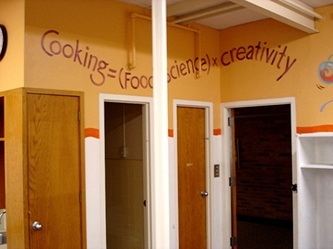 We choose both! 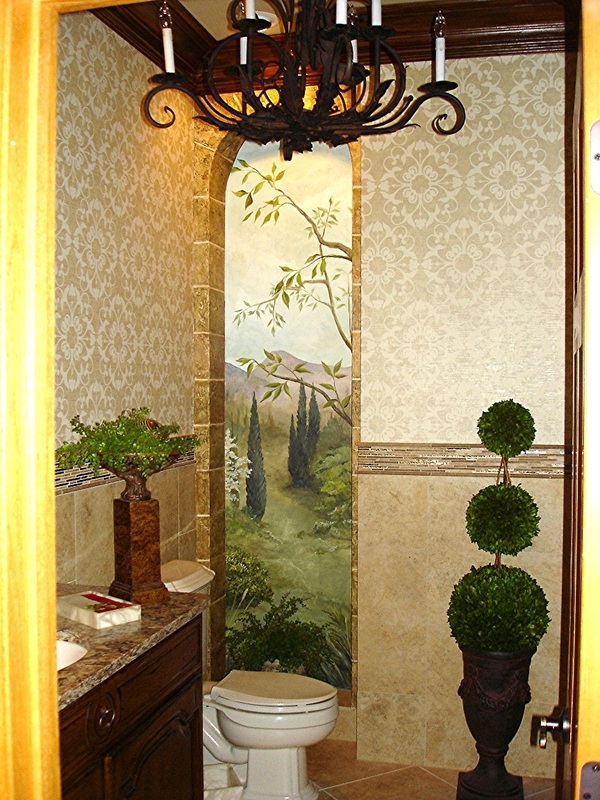 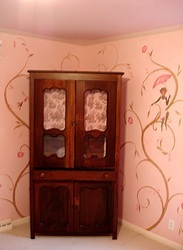 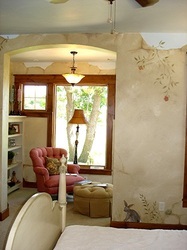 This secret garden room inspired the savanna room above. 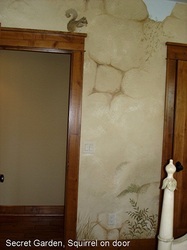 Same wall finish, completely different room. 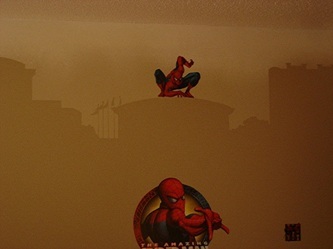 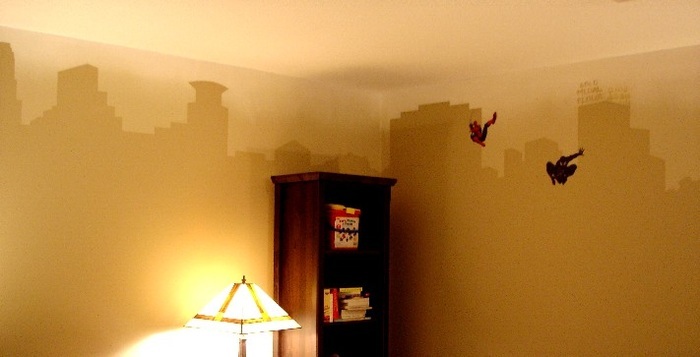 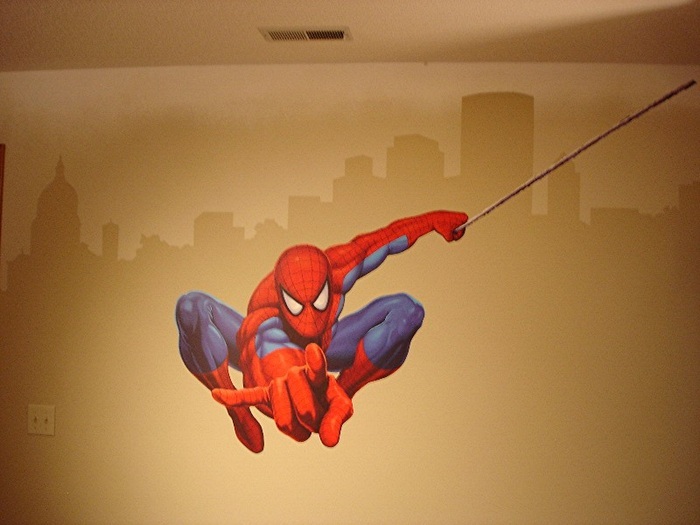 Spidey (a removable wall graphic purchased by Graham's daddy) needed someplace to hang out...Minneapolis is good. 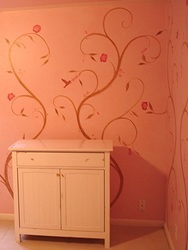 What's pink and brown and swirly all over? 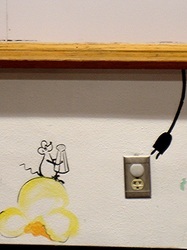 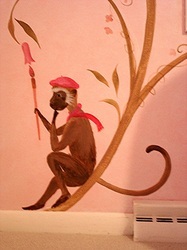 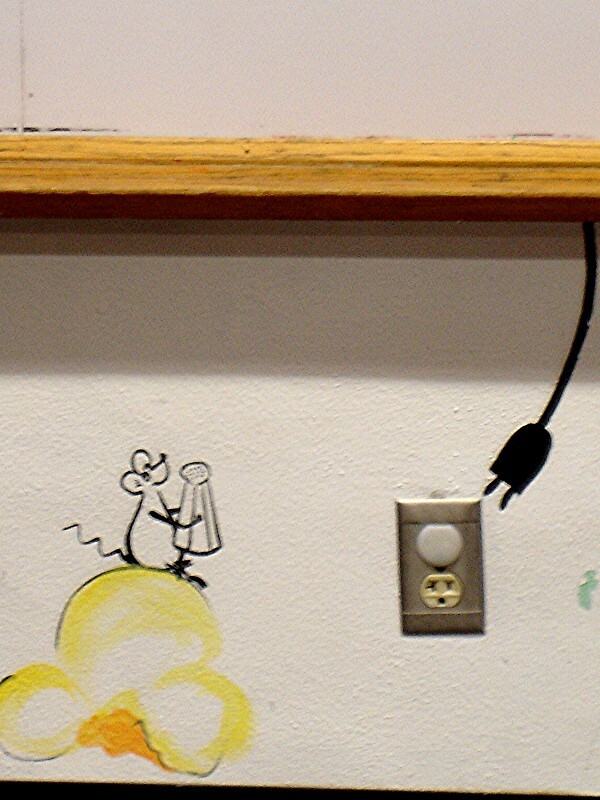 ﻿﻿﻿...and what if you move right after you commission a monkey mural? 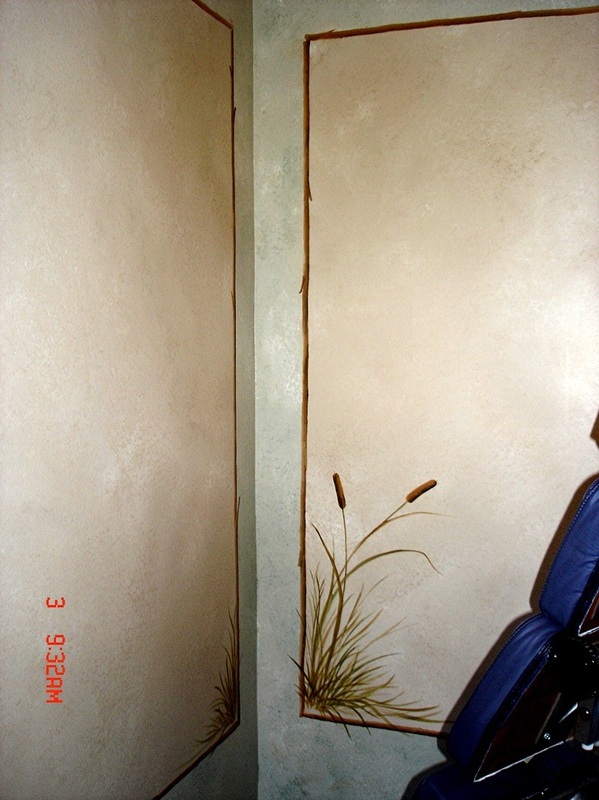 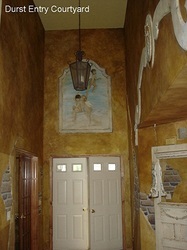 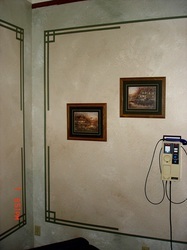 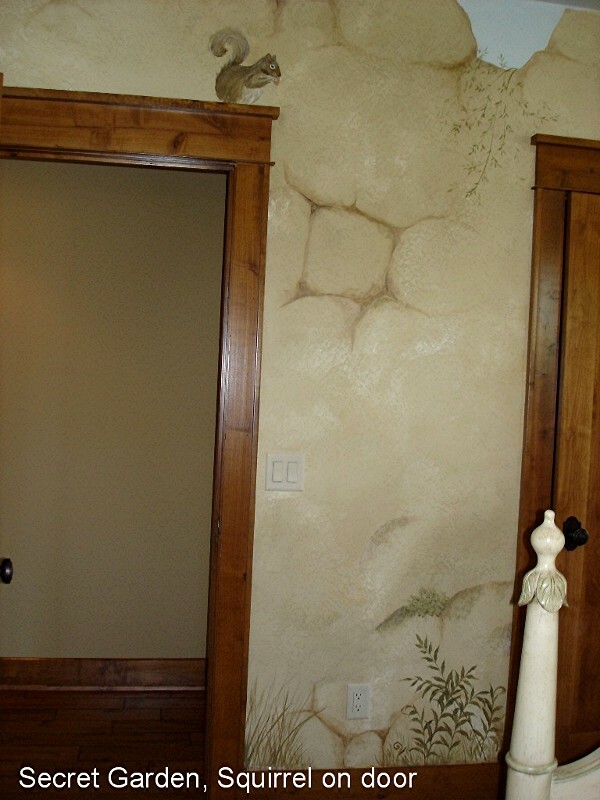 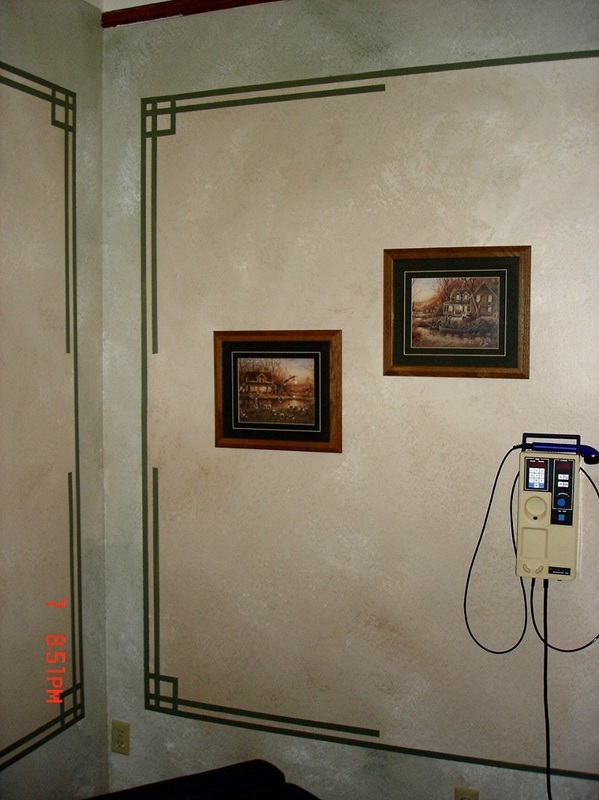 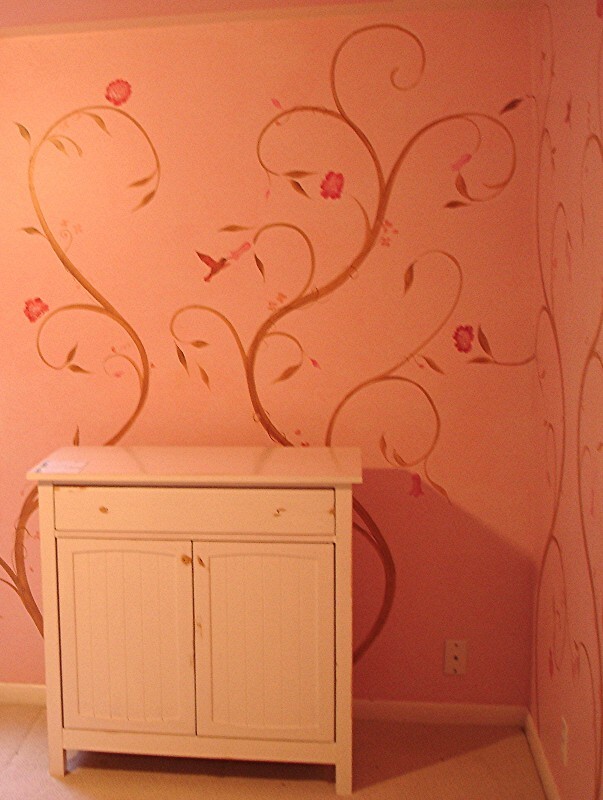 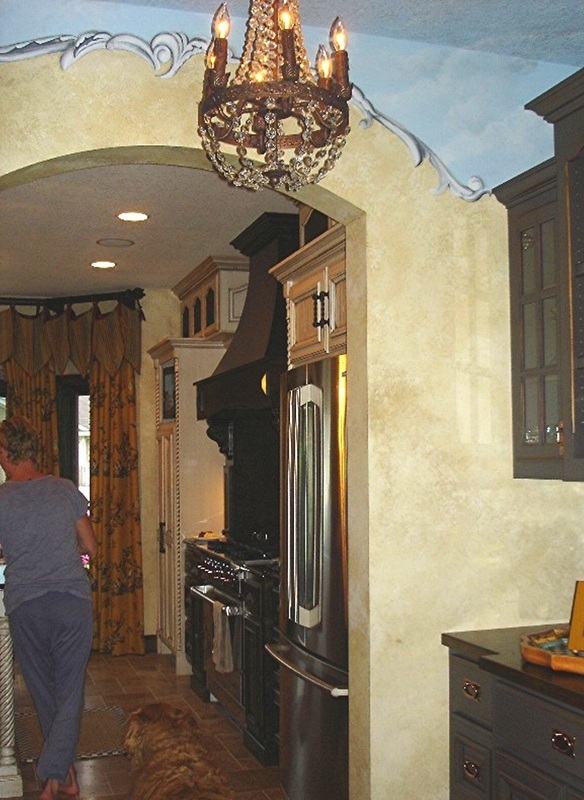 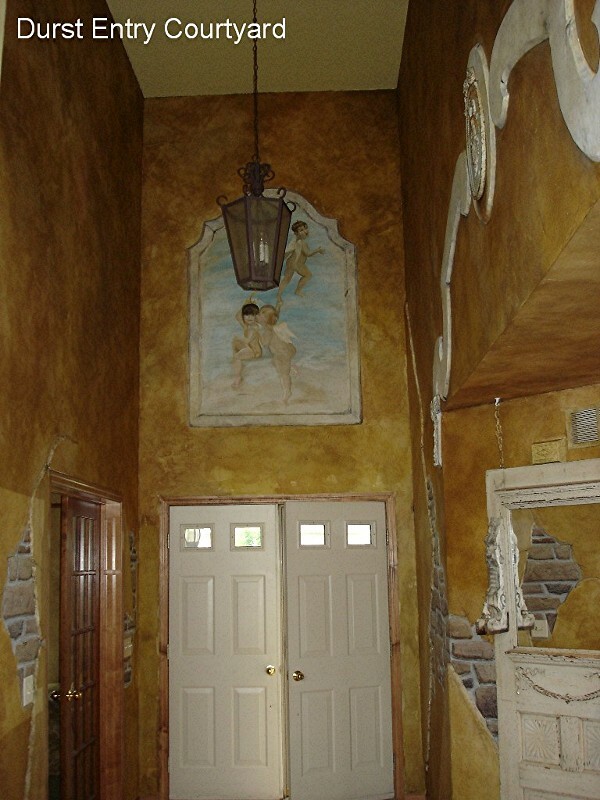 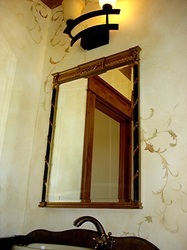 Accent walls like these are somewhere between a mural and a faux finish. 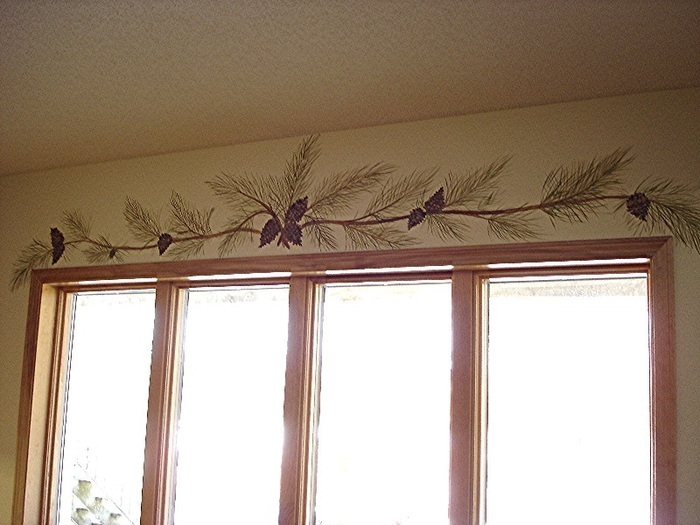 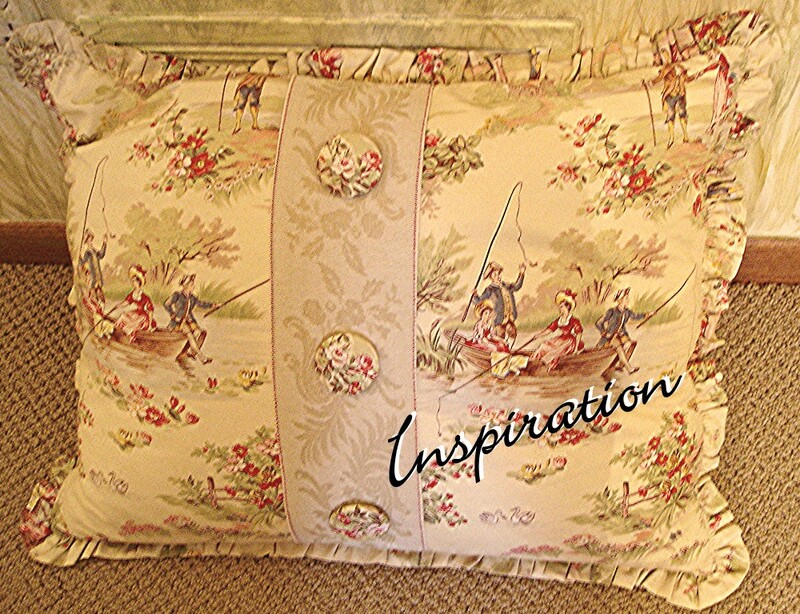 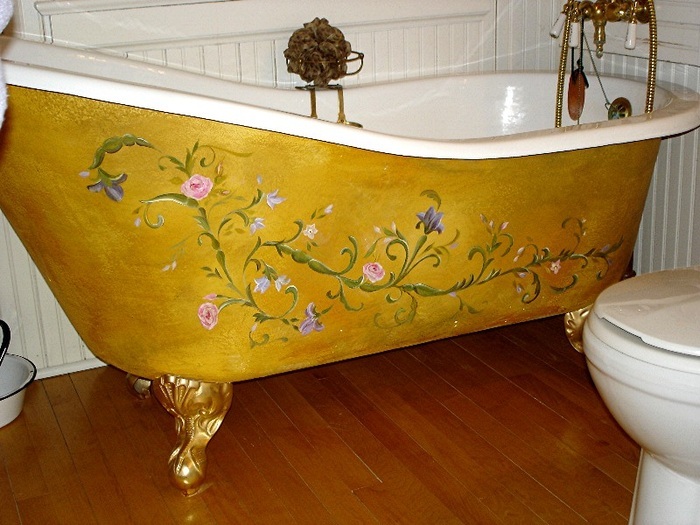 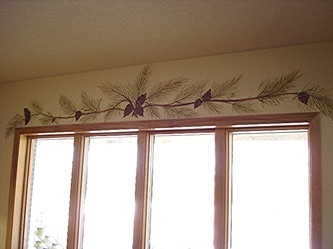 Artful details can be custom designed for any home, any style, and any budget. Ready to commission your custom art?